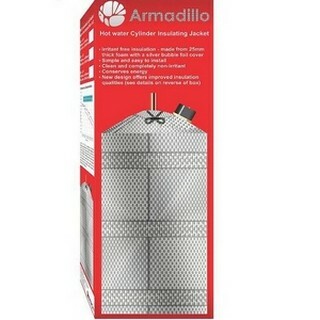 This foil based hot water insulating cylinder jacket known as the Armadillo is made from 25mm thick foam with a silver bubble cover. 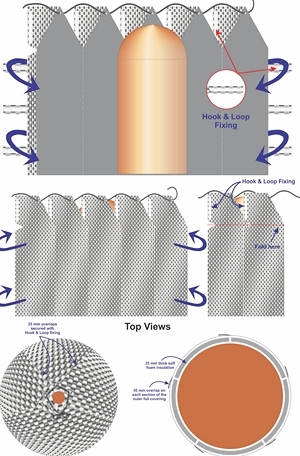 Tests show that this unique design offers improved insulation qualities when compared with your traditional cylinder insulating jacket. Designed to be simple to install the Armadillo jacket consists of five foil covered foam panels, three securing straps and a tie chord. It comes in three sizes to suit different sized cylinders. 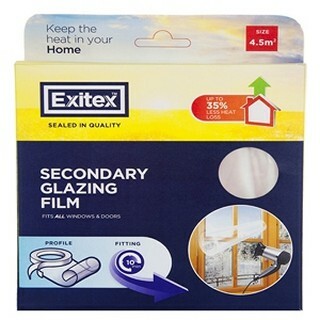 1: Put the panels in a vertical position around the cylinder ensuring the eyelets are at the top so that the connecting pipework will be able to pass through the gaps between the panels. 2: Put the cord through the eyelets and tie off so that the panels fully cover the top of the cylinder. How the Armadillo Foil Jacket Compares to Traditional Hot Water Cylinder Jacket? A standard domestic hot water cylinder was heated with an immersion heater to 60 degree celcius twice. 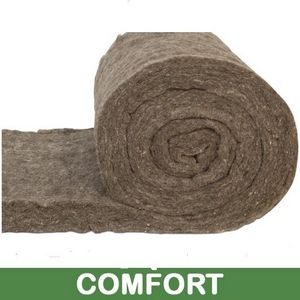 The first time it was fitted with a traditional four section plastic encapsulated fibre insulating jacket. The second time it was fitted with the Armadillo Jacket. 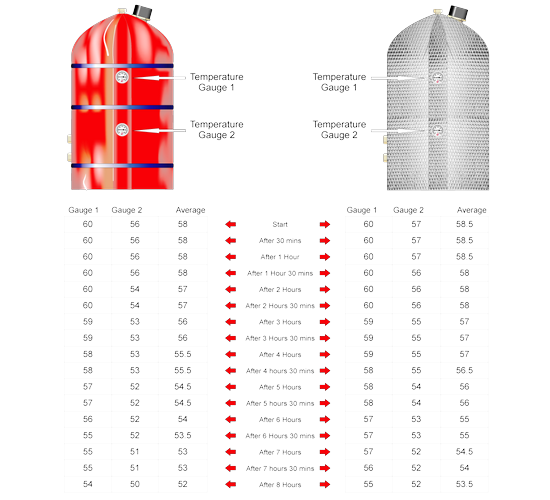 The results as outlined in the table in images clearly show that the heat loss from the cylinder is reduced when the Armadillo is fitted. This means that the hot water you heat will stay hotter longer which can ultimately mean that you can reduce your energy bill. I’m looking for a jacket for a 56″x 24″ clorifiyer..cheers. Certainly a question I wasn’t expecting but perhaps we have found a new selling point for the product. Essentially the jacket will work in both ways to maintain the temperature so if it is hot it will keep it hot longer and if cold it will also keep it cold longer. How do I size my cylinder so as to find correct size jacket? Measure the length from top to bottom and it will most likely be 36 inches, 42 or 48. The majority of Irish customers tend to go with the 36 but if in doubt too big is definitely a better option than too small. What is the 18″ in the measurement ? Mine is a tight space around the back & side of the tank in hotpress. 42″ tall tank. Should I get the 48″ jacket to be on the safe side ? Either or Michael I would save. Personally I would think the 42 Inch would be better.